If you grew up skating in the 90's or early 2000's, then I'd bet a finger and a toe that you've heard of Chad Muska. I’d even bet that he might’ve influenced you a little bit. You might’ve even owned a pair of cargo pants with the zippers that turned into shorts, didn’t you? Or maybe a bright red or yellow 2XL tank top perhaps? You wore a crooked hat. You skated with a backpack on while holding your parents broken boombox in your arms like an infant. Don’t deny it! Don’t be ashamed! We all did it. And we did it with pride. Chad Muska is one of skateboarding's most influential characters, but his talent spans far beyond his skills on a skateboard. He's an accomplished designer, an artist, a DJ, and, well, the list goes on. For our 2016 Footwear Guide presented by Skate Warehouse, we caught up with Chad to get the rundown on his current role at Supra, a few of his footwear preferences, and to see what’s in store for 2016. What's new for you and the Supra family? Well, as a lot of you may have heard there has been some new corporate infrastructure changes that have happened recently for Supra and I just want to say that this does not really change our company at all from the outside looking in. We come from skateboarding and we will stay true to our roots as we continue to progress and grow into the future no matter where we call our office home. The skate team has been killing it on tours in Europe, America and in their own individual time. I have had a back injury that has taken me off the board for a while so I have just been creating and directing with the company as I always have, even when I was skating everyday. So it sounds like you're pretty involved with the ins and outs, yeah? Are you involved with the production process? What model are you most stoked on in the spring line? In the past I have helped direct the brand as a whole and since its inception I have gone in phases of being there all the time to just communicating through emails, as I was on the road a lot in my life. Currently I have been in a phase of trying to communicate and give input on the whole line but have taken a step back as the brand has grown. 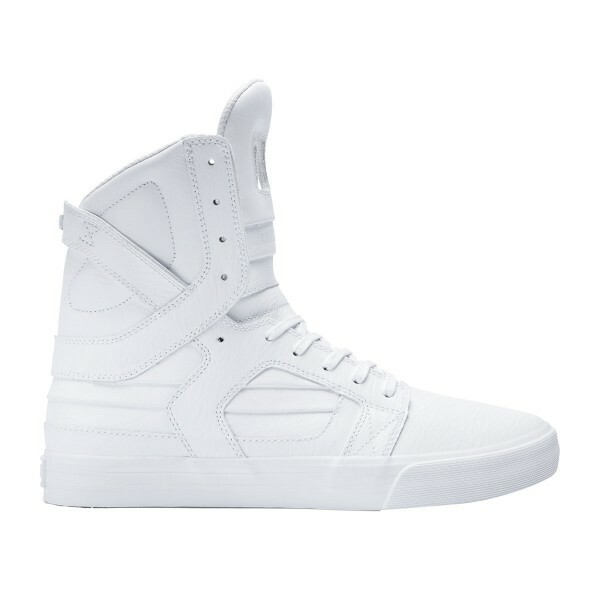 Now I mostly focus primarily on my signature Skytop products. I am bad at knowing which shoe is drop during which season because we are always working so far in advance and my main concern is the creation. I leave it up to the company to handle everything else. 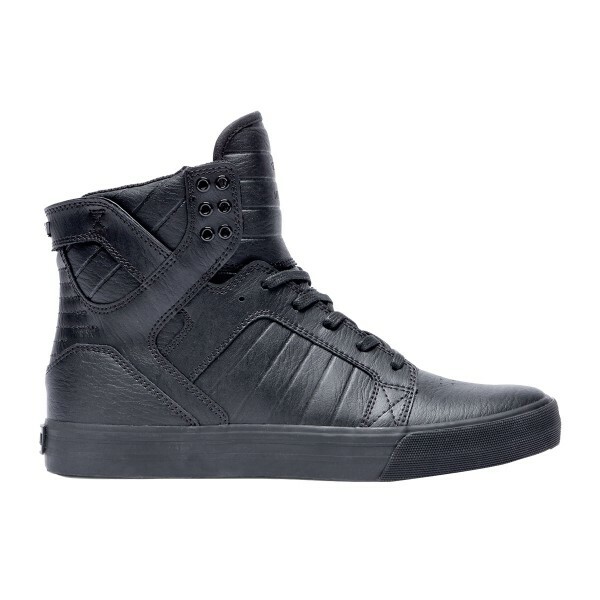 But if I am not mistaken we are dropping the Skytop III again after taking it out of the line for a while. I am really hyped about its reintroduction with a newly designed side cage. It gives an option for a lower profile cup sole shoe within my Skytop products. My favorite shoe is always the current one I’m working on! [Laughs] But if I had to pick one I would say the Skytop 001 because I (unlike most skaters) really like to skate in high tops. There is a lot of ankle support, protection from your board hitting you and it feels broken in straight out of the box with all the leather, suede and Tuff material models. So are you a cupsole guy or a vulcanized guy? I really think it depends on the shoe and what you are doing in it. I would say Vulc for everyday skating, flatground and ledges or cruising around a park, but if you are ready to jump down some big stairs or rails then I would say a cupsole because they are much stronger and will support your foot much better. The essential design of skate shoes is definitely changing again. They're getting bulkier, there's more technology involved, yet there seems to be this need for the simple, low profile vulcanized shoes each season. Do you feel that all styles need to exist? I feel that skateboarding has evolved over the years and trends will come and go… But like I said in the previous answer, you really do need both. I think the future is about creating shoes with technology again but they don’t have to look like they are from the future. The hardest thing as a designer is knowing when to stop. It’s really easy to over design and technical simplicity is a true thing of beauty when properly achieved. I consider myself a minimalist in this day and age but I have definitely been guilty of over designing. Being loud is fun at times although it usually fades with the trend. A simple, classic vulcanized shoe is pretty much timeless and I don’t see them going anywhere anytime soon. Which Supra model sells the best in skate shops? I think it varies from region to region and changes with the times, also you have to consider what shop it’s in, as Supra is sold in many types of retail outlets. For the skate side of things we have done well with the Stacks in the past and the Cuba as far as I can remember. But I really don’t deal with sales and don’t keep up on that aspect, I just consider myself a creator and hope that the sales force we have understands the vision and can help explain it to the retail. My shoes have done well in the past in skate shops but a lot of the time they are a little too crazy and end up performing well in more lifestyle driven outlets. Since the beginning, Supra has definitely done things its own way. What is your philosophy on designing/producing shoes for skateboarding? I have never had a philosophy to anything in my life. I just do things from my heart and put everything I have inside of me into my creations and hope that they work and connect with an audience. So far it’s worked for me pretty well. The one thing I do always do is try to create something new that is still relevant. I feel like every company has the same exact shoes and it’s more about what logo you like than the actual design… So I challenge myself to come up with something that doesn’t exist instead of chasing the current trend in skateboarding. It’s a dangerous move at times but when it works it hits hard. So you fully design and create your pro models, correct? Any new Muska signatures in the works right now? I conceptualize and design my products 100%. I consider myself a designer just as much as a skater. I work on the design with an in-house designer to help finalize my vision but I always come up with the concept and initial sketch to get it started. I worked with Josh Brubaker on all the Skytop models up until now and have just finished working with Adam Contreras on the Skytop V and I really think it is one of my best shoes yet! I can’t wait for this to come out and shake up the skate industry once again. I just wish it could come out faster as I see all these other skate shoes start entering into a new technical era again. It will be here soon, though. Hopefully by Black Friday but I’m not 100% sure yet. When you're thinking about a new shoe, whom do you mainly have in mind? The customer, the riders, yourself? All of the above? All the above. 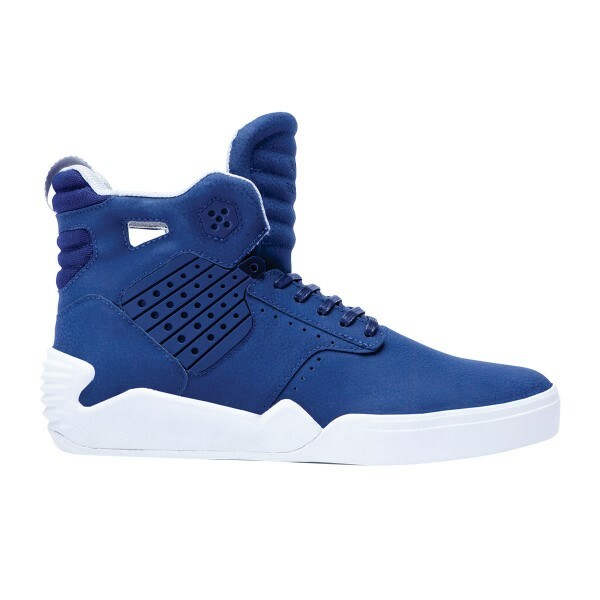 Especially as the company has grown and the Skytop franchise within Supra has become an important part of the business, I start to feel a need to create a shoe that is going to perform well both on your feet and in the market place, all while staying true to my design integrity. Almost every skater out there is handed a shoe with his name on it—they say a few things and it’s theirs. I make these products and they come from my heart… The good, the bad and the ugly. I stand for them all. That’s awesome. Well let’s wrap this up. What is The Muska stoked on for the rest of 2016? Been working on a project with Supra off Melrose where I have started a creative space where I can basically make things that influence my designs, bring interesting creatives together and hopefully inspire people. You can follow my adventures via my Instagram account @themuska and I will be posting pictures daily documenting my work and progression in the space. We are talking about doing an event in April but still haven’t set an exact date. There has also been talk of a pop up retail in the space but we are still working out the master game plan. My goal is to work so hard that I don’t have time to stress on anything in life except my positive creations and multiple platforms of self expression. Thank you to everyone who has ever supported me and a shout out to the haters, too! I’m still here!